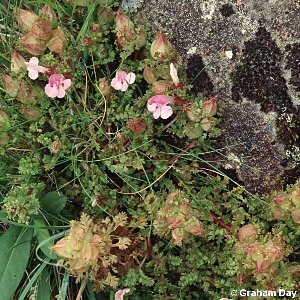 Lousewort is a common species of bogs, peaty soils or pasture. The sepals can be hairy or hairless and this has been considered by some botanists to be correlated with other features and to justify dividing the species into two subspecies - subsp. hibernica (hairy sepals) and subsp sylvatica (hairless sepals). Both often grow side-by-side. 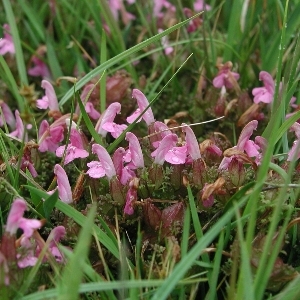 All names: Pedicularis sylvatica L.